Must We Believe the Virgin Birth of Jesus Christ? In his recent column in The New York Times, Nicholas Kristof pointed to belief in the Virgin Birth as evidence that conservative Christians are "less intellectual." Are we saddled with an untenable doctrine? Is belief in the Virgin Birth really necessary? Kristof is absolutely aghast that so many Americans believe in the Virgin Birth of Jesus Christ. "The faith in the Virgin Birth reflects the way American Christianity is becoming less intellectual and more mystical over time," he explains, and the percentage of Americans who believe in the Virgin Birth "actually rose five points in the latest poll." Yikes! Is this evidence of secular backsliding? "The Virgin Mary is an interesting prism through which to examine America's emphasis on faith," Kristof argues, "because most Biblical scholars regard the evidence for the Virgin Birth ... as so shaky that it pretty much has to be a leap of faith." Here's a little hint: Anytime you hear a claim about what "most Biblical scholars" believe, check on just who these illustrious scholars really are. In Kristof's case, he is only concerned about liberal scholars like Hans Kung, whose credentials as a Catholic theologian were revoked by the Vatican. The list of what Hans Kung does not believe would fill a book, and citing him as an authority in this area betrays Kristof's determination to stack the evidence, or his utter ignorance that many theologians and biblical scholars vehemently disagree with Kung. Kung is the anti-Catholic's favorite Catholic, and that is the real reason he is so loved by the liberal media. Kristof also cites "the great Yale historian and theologian" Jaroslav Pelikan as an authority against the Virgin Birth, but this is both unfair and untenable. In Mary Through the Centuries, Pelikan does not reject the Virgin Birth, but does trace the development of the doctrine. What are we to do with the Virgin Birth? The doctrine was among the first to be questioned and then rejected after the rise of historical criticism and the undermining of biblical authority that inevitably follwed. Critics claimed that since the doctrine is taught in "only" two of the four Gospels, it must be elective. The Apostle Paul, they argued, did not mention it in his sermons in Acts, so he must not have believed it. Besides, the liberal critics argued, the doctrine is just so supernatural. Modern heretics like retired Episcopal bishop John Shelby Spong argue that the doctrine was just evidence of the early church's over-claiming of Christ's deity. It is, Spong tells us, the "entrance myth" to go with the resurrection, the "exit myth." If only Spong were a myth. 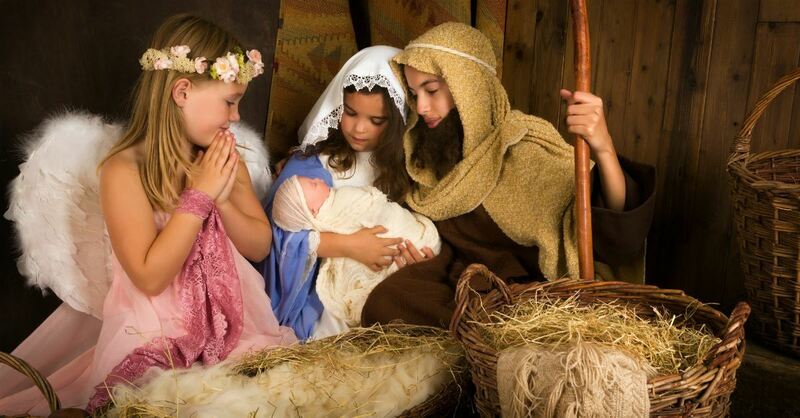 Now, even some revisionist evangelicals claim that belief in the Virgin Birth is unnecessary. The meaning of the miracle is enduring, they argue, but the historical truth of the doctrine is not really important. Must one believe in the Virgin Birth to be a Christian? This is not a hard question to answer. It is conceivable that someone might come to Christ and trust Christ as Savior without yet learning that the Bible teaches that Jesus was born of a virgin. A new believer is not yet aware of the full structure of Christian truth. The real question is this: Can a Christian, once aware of the Bible's teaching, reject the Virgin Birth? The answer must be no. Nicholas Kristof pointed to his grandfather as a "devout" Presbyterian elder who believed that the Virgin Birth is a "pious legend." Follow his example, Kristof encourages, and join the modern age. But we must face the hard fact that Kristof's grandfather denied the faith. This is a very strange and perverse definition of "devout." Even if the Virgin Birth was taught by only one biblical passage, that would be sufficient to obligate all Christians to the belief. We have no right to weigh the relative truthfulness of biblical teachings by their repetition in Scripture. We cannot claim to believe that the Bible is the Word of God and then turn around and cast suspicion on its teaching. Millard Erickson states this well: "If we do not hold to the virgin birth despite the fact that the Bible asserts it, then we have compromised the authority of the Bible and there is in principle no reason why we should hold to its other teachings. Thus, rejecting the virgin birth has implications reaching far beyond the doctrine itself." Implications, indeed. If Jesus was not born of a virgin, who was His father? There is no answer that will leave the Gospel intact. The Virgin Birth explains how Christ could be both God and man, how He was without sin, and that the entire work of salvation is God's gracious act. If Jesus was not born of a virgin, He had a human father. If Jesus was not born of a virgin, the Bible teaches a lie. Carl F. H. Henry, the dean of evangelical theologians, argues that the Virgin Birth is the "essential, historical indication of the Incarnation, bearing not only an analogy to the divine and human natures of the Incarnate, but also bringing out the nature, purpose, and bearing of this work of God to salvation." Well said, and well believed. Nicholas Kristof and his secularist friends may find belief in the Virgin Birth to be evidence of intellectual backwardness among American Christians. But this is the faith of the Church, established in God's perfect Word, and cherished by the true Church throughout the ages. Kristof's grandfather, we are told, believed that the Virgin Birth is a "pious legend." The fact that he could hold such beliefs and serve as an elder in his church is evidence of that church's doctrinal and spiritual laxity -- or worse. Those who deny the Virgin Birth affirm other doctrines only by force of whim, for they have already surrendered the authority of Scripture. They have undermined Christ's nature and nullified the incarnation. This much we know: All those who find salvation will be saved by the atoning work of Jesus the Christ - the virgin-born Savior. Anything less than this is just not Christianity, whatever it may call itself. A true Christian will not deny the Virgin Birth. R. Albert Mohler, Jr. is president of The Southern Baptist Theological Seminary in Louisville, Kentucky. For more articles and resources by Dr. Mohler, and for information on The Albert Mohler Program, a daily national radio program broadcast on the Salem Radio Network, go to www.albertmohler.com. For information on The Southern Baptist Theological Seminary, go to www.sbts.edu. Send feedback to mail@albertmohler.com.